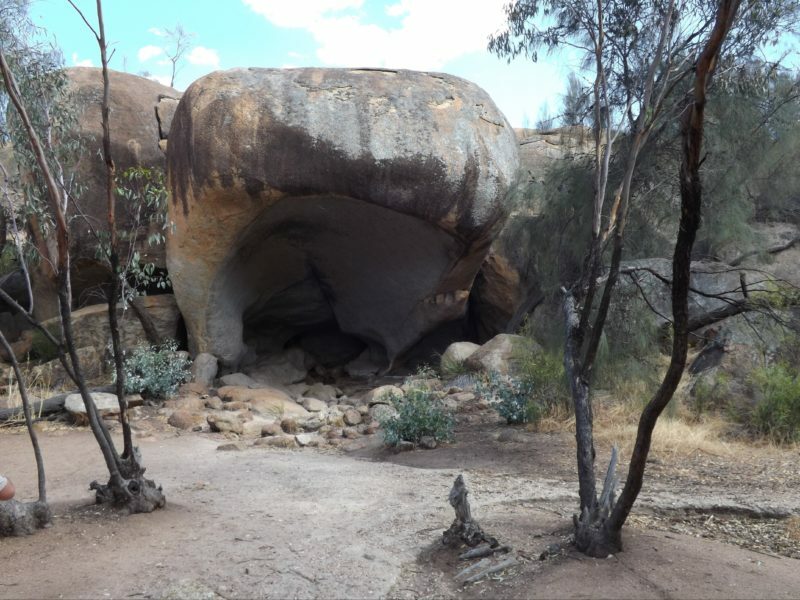 Hippo’s Yawn is located near Wave Rock in Hyden. The rock’s resemblance to a yawning hippo is why it was given its name. Climb through the throat of Hippo’s Yawn and be sure to catch the interesting shot on camera. 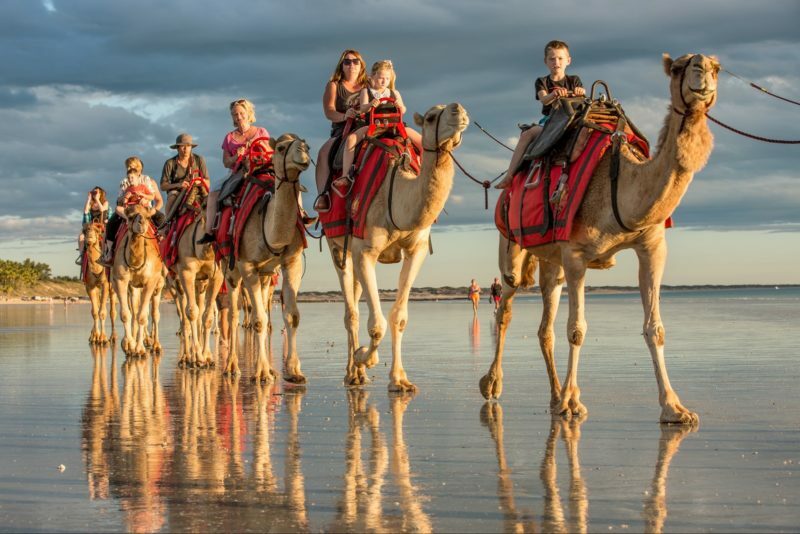 Whilst out near the rock, enjoy a coffee at the coffee shop, visit the wildlife park, check out the replica Pioneer Town or pick up a souvenir from the Wildflower Shop. The shop serves great food and is a testament to the abundance of exotic and rare wildflowers that adorn the area during springtime. 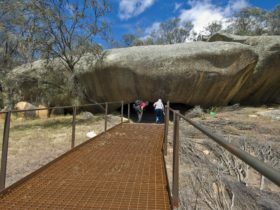 The nearby Wave Rock is 27 million years old and made up of grey and red granite strips. 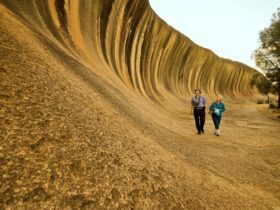 Wave Rock hangs over like an incredible 15-metre high wave about to break. 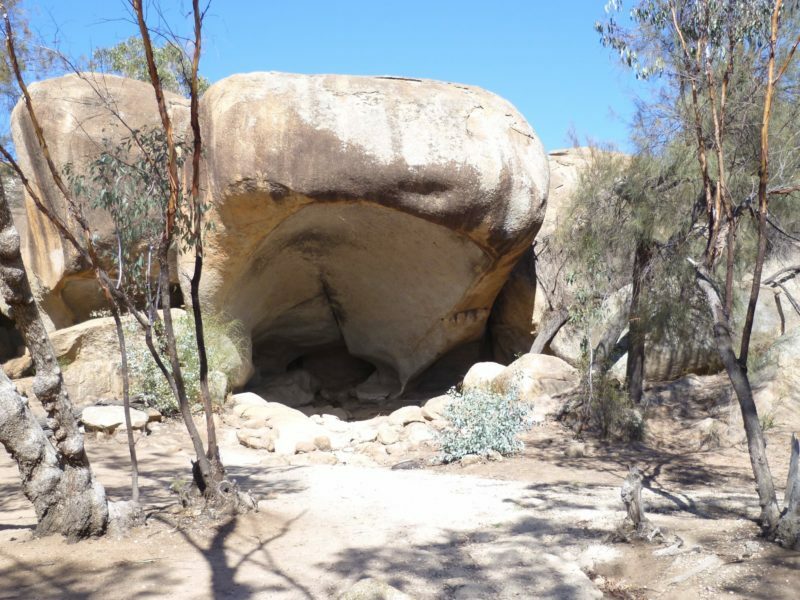 Aboriginal rock paintings can also be seen at nearby Bates Cave. 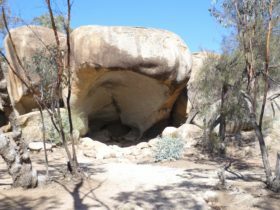 It is worth seeking out the variety of granite rock plants, ancient Sheoaks, Lichen Carpets, Creeping Mosses and Sticky Drosera insect eater plants unique to this area. 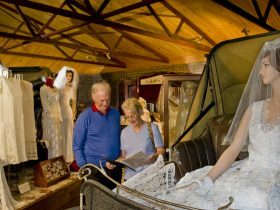 The 20-minute walk to Hippo’s Yawn starts a five minute drive from the town of Hyden, which is a four hour drive from Perth.